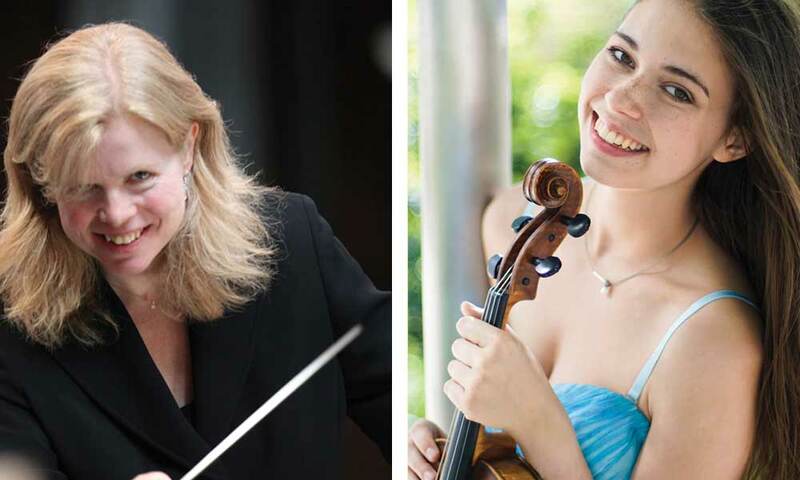 The lively British conductor Catherine Larsen-Maguire opens the season with the winner of Colburn’s concerto competition, violist Emma Wernig. Join us at 6:45 pm for a pre-concert talk with Music History faculty Dr. Ian Pritchard. Due to a nearby event, parking in the Ambassador Auditorium garage is limited and available on a first-come, first-served basis. Metered street parking may be found around the hall. Guests also have the option of parking at Joe’s Auto Parks at 23 South Pasadena Avenue for $6, an approximately 7-minute walk from the concert hall. This concert is sponsored in part by Villa Gardens, a front porch community. This concert was funded in part by a grant from Pasadena Showcase House for the Arts.